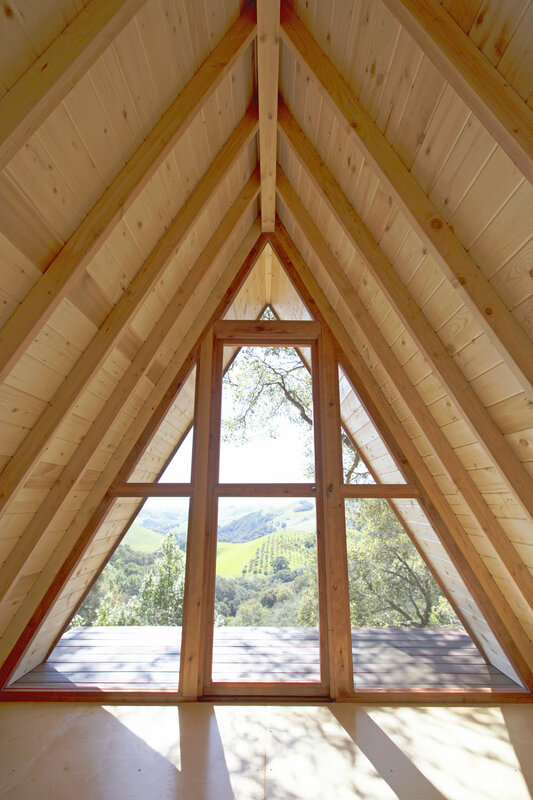 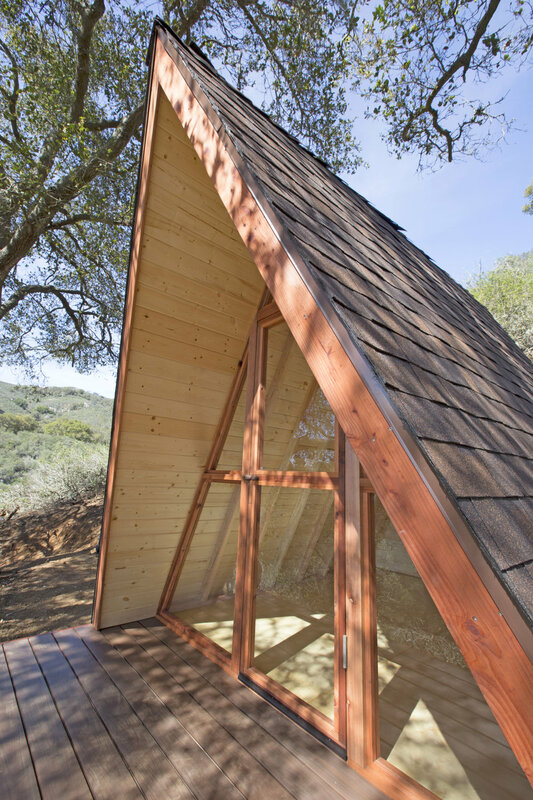 This 10x10' A-Frame cabin was prefabricated in sections in our Central Coast shop, then fully assembled on site atop a composite deck foundation. 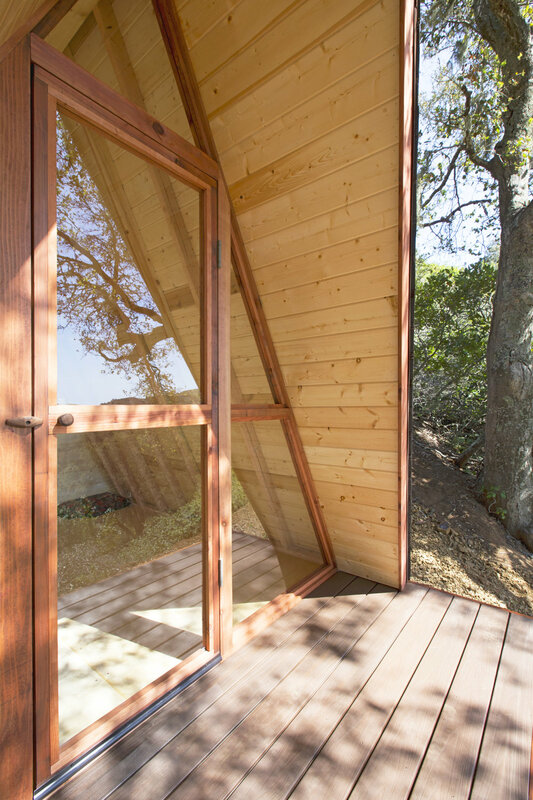 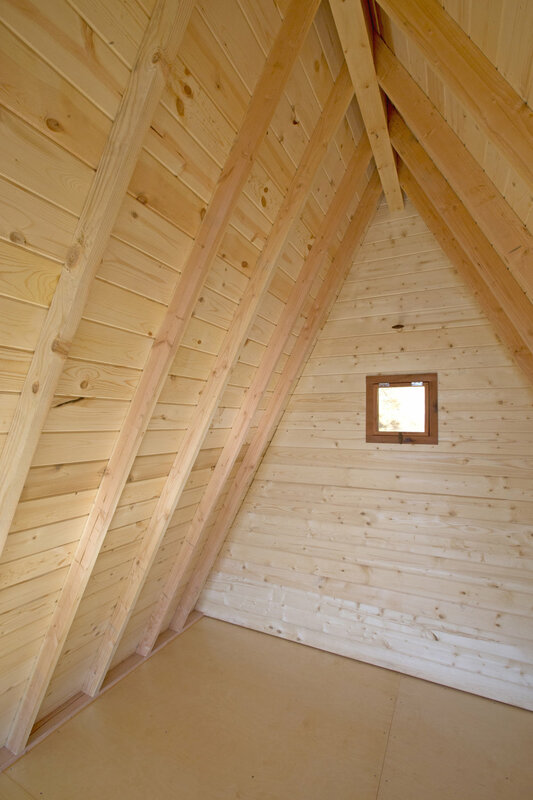 The structure was framed and finished using redwood, douglas fir and pine, with a comp shingle roof and a full wall of windows on the western side. 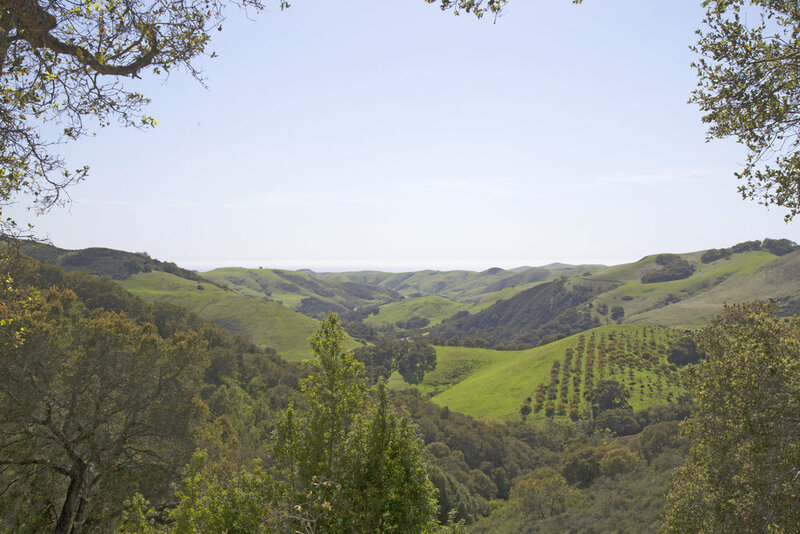 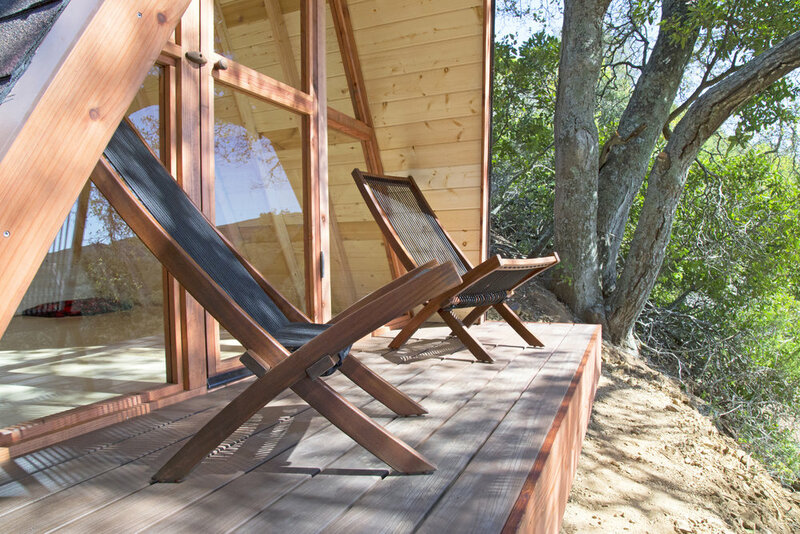 Nestled in the oaks overlooking the hills east of Cayucos and the Pacific coast, this dwelling makes for the perfect writing retreat or camp-out spot! 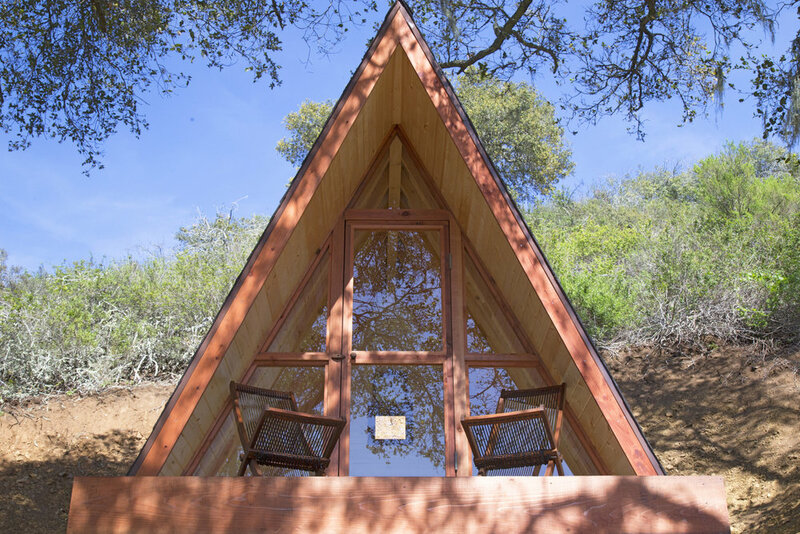 This 10x10' A-Frame cabin was prefabricated in sections in our Central Coast shop, then fully assembled on site atop a composite deck foundation. 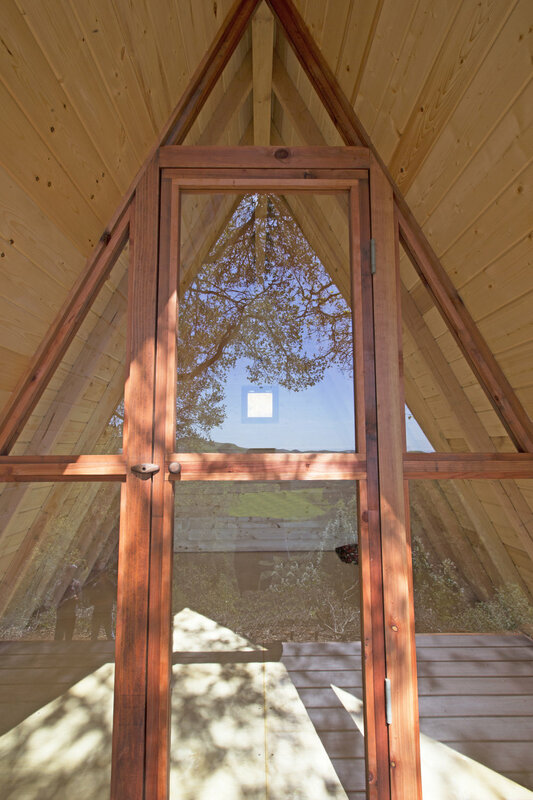 The structure was framed and finished using redwood, douglas fir and pine, with a comp shingle roof and a full wall of windows on the western side. 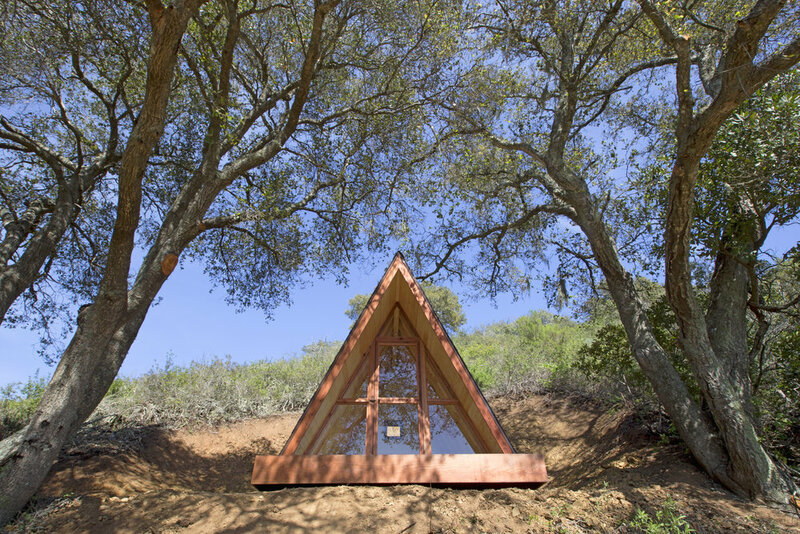 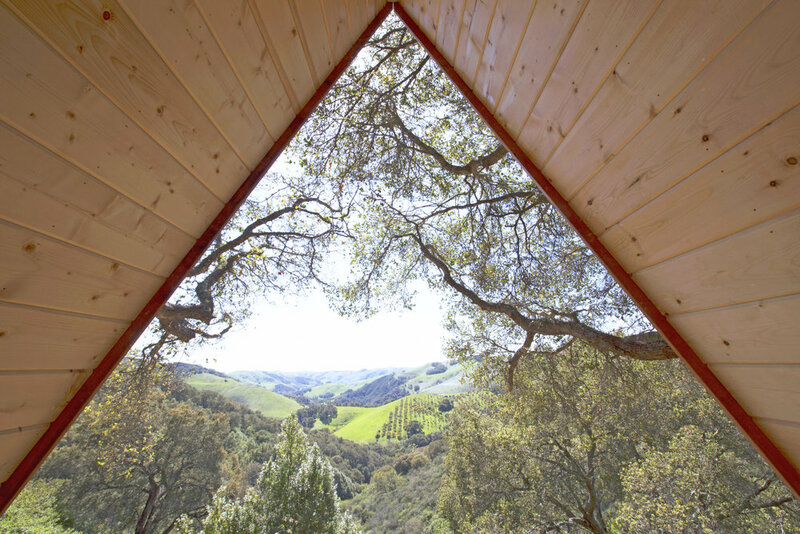 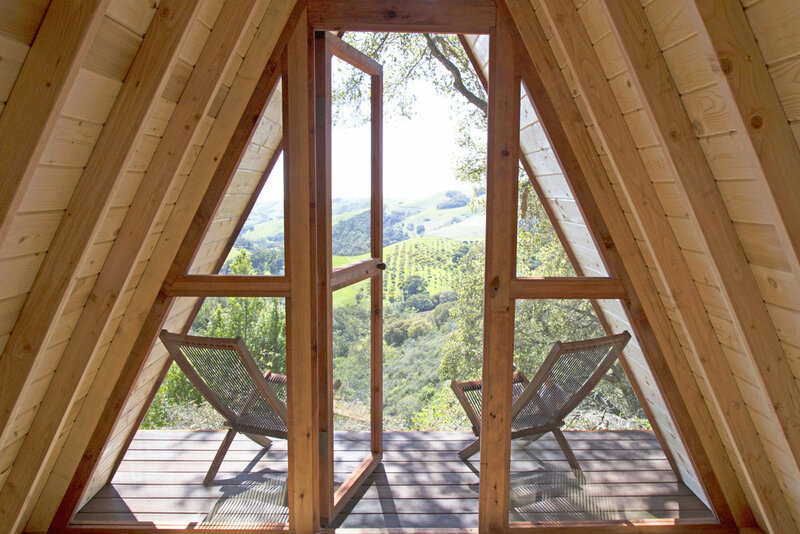 Nestled in the oaks overlooking the hills east of Cayucos, CA and the Pacific coast, this dwelling makes for the perfect writing retreat or camp-out spot!